Over the years, Valpak has delivered millions of dollars in savings across North America. But it's a different kind of local value that we're most proud of: helping neighborhoods like yours thrive. Being a good neighbor is at the heart of what we do. Finding new ways to bring enduring value to our neighbors is just part of our DNA. Valpak is proud to support the local businesses, organizations and nonprofits that create neighborhoods for all to enjoy. 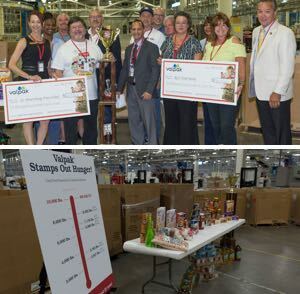 On May 10, 2016, Valpak, a leader in local print and digital coupons, announced its employee food drive collected 12,924 pounds, or more than 6 tons, of food, enough to feed 400 families. This triples last year's donations. One dollar per pound was also matched by the company to make a monetary contribution. The food and checks were donated and presented to two local food banks, the St. Pete Free Clinic and the RCS Food Bank, during the employee rally held Tuesday morning. All kids deserve a chance to play. Yet many of today's kids aren't getting the balanced and active play they need to thrive. 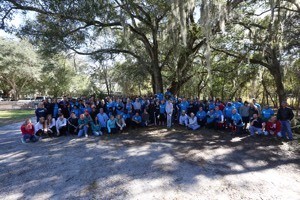 Valpak has teamed up with KaBOOM! to provide safe places to play that give kids the playful childhood they deserve. Uniting communities to create better opportunities for all. Helping children realize their potential and build their futures. Stamping out hunger with the largest one-day food drive in America.